I am passionate about helping people formulate plans to reach their goals. Since 1999, I have been involved in that process with hundreds of clients as a professional in the financial services industry. Now I spend my time helping individuals and families create and maintain solid estate plans – truly an important work! 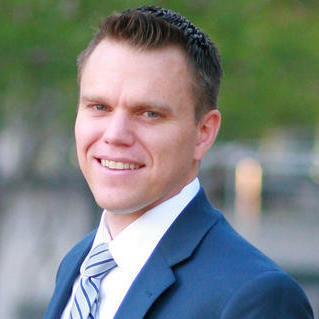 Before becoming an attorney, spent served in the United States Marine Corps Reserves and then as a missionary for Church of Jesus Christ of Latter-day Saints. I later graduated from Arizona State University – go Sun Devils! I now live in Mesa with my beautiful wife and our 6 energetic children. "Marcus Seiter did an outstanding job handling our will and trust. I found his knowledge and advice to be extremely helpful. I would have been lost had I tried to do this process myself. I will be returning to him the next time I need an attorney." "My husband and I asked Marcus Seiter to review and to update our trust documents, deleting, adding and changing certain articles. I could not give a higher recommendation to another attorney than to Marcus. He is personable, knowledgeable, and most of all, ethical. We found Marcus to be trustworthy, thorough and forthright with our requests. Having done the initial reading, Marcus made several suggestions to update the current articles. Following the initial meeting, Marcus kept us up-to-date via email and phone calls on his suggestions while adding and deleting our requests. What amazed us was the fact he was so thorough; he reviewed every portion, every article, every association, and every name/address/phone number to guarantee everything in the document followed the law and followed our requests. Marcus Seiter deserves recognition for his efforts and his follow through. He will not only become your attorney, he will become your friend." Estate Planning Attorney - Wills, Trusts, Powers of Attorney and Peace of Mind!